A European conference on firefighter safety – the first of its kind to be held in the UK – has been hailed a huge success. 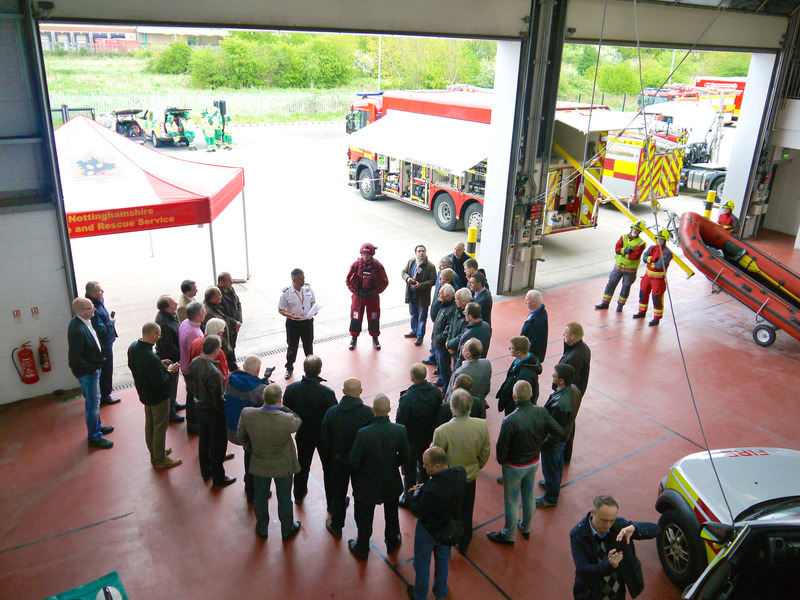 More than 120 delegates representing 22 countries attended the Federation of the European Union (FEU) Fire Officers Associations spring meeting and conference, hosted by Nottinghamshire Fire and Rescue Service and sponsored by DuPont. The theme, ‘Improving Firefighter Safety – A European Perspective’, had been chosen to address one of the five key themes in the FEU’s 2020 vision document. Over three days delegates shared ideas and best practice, while discussing the benefits of working collaboratively to improve safety. Among the speakers were manufacturers in the personal protective equipment (PPE) industry. Whilst no PPE will ever give complete protection against the risks from firefighting, manufacturers are constantly looking at ways to improve turnout gear to give extra seconds of safety when it counts. Representatives from DuPont, Hainsworth and Bristol Uniforms were on hand to explain the technology, hard work and innovation that goes into keeping firefighters safe through fibre development, fabric construction and garment design. The conference covered topics such as problems and developments in BA respiratory protection, the importance of firefighter training and firefighter wellbeing research projects. There were also talks on the steps Slovenia Fire & Rescue Service has taken to improve Slovenian firefighter safety and the lessons learned from the 2010 Shirley Towers incident from Hampshire Fire and Rescue Service. Delegates also enjoyed lively debate and considered strategies to lobby the European Parliament to promote safety and sustainability initiatives across the EU area. The news of Sir Ken Knight’s recommendation to merge some of the 46 separate fire and rescue authorities in England was published on the morning of the conference, prompting much mixed debate and discussion before the conference had even started.